Years back, there was news that NTR was seeing Sameera Reddy the Bollywood heroine who worked with him in one of the Telugu films. Now, Sameera has moved way ahead and had nicely settled with her husband and her son. Now, she has expected her second baby very soon and flashes of her baby bump are all over the net. 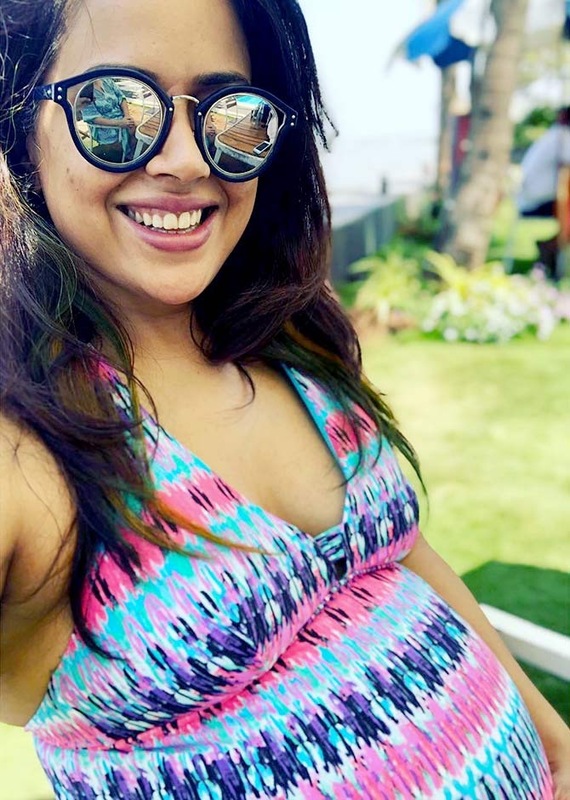 Seen here in the above picture is Sameera showcasing her cute baby bump. Sameera’s husband is a leading bike manufacturer in Mumbai who often models bikes for celebs.